Time to put the training to good use at the Cardiff Half Marathon! This week was all about final race prep for the Cardiff Half Marathon. I was certainly ready for the taper by Monday. Three heavy training weeks had taken their toll on me and I needed to feel perky again. With tired legs and a headwind slamming straight into me, this particular recovery run had me averaging 10:15 miles for possibly my slowest ever time from the office. This was the final hard run ahead of the Cardiff Half Marathon. I wasn’t going to get any fitter come Sunday, but I wanted my body to feel familiar with what race pace felt like, so hence this sharpener. Much like on previous occasions, I completely misjudged which direction the wind was blowing; by running anti-clockwise around the reservoir, I ended up maximising my exposure to the headwind to make race pace feel much harder than it should have. I was reasonably confident that had I have completed a second lap, it would have felt easier once fully warmed up. I went out to cover 4 miles along the canals with a handful of fast stretches to let my stride out, and as expected, I felt a bit sluggish there. My coordination was off after only one full rest day – the curse of the taper! If anybody has a spare issue 1 for sale, let me know! A guilty pleasure of mine is magazines. Being a guy that’s always had hobbies and interests, magazines have provided me reading material where books have so often tried and failed to get me reading. I have stacks and stacks of running magazines: Runner’s World, Running Fitness, Men’s Running, Running Times, Competitor. You name it and I’ve probably had a subscription to it at some point. Due to poor and repeated content, I cancelled them all apart from Running Times, which I now subscribe to digitally at £13 a year for 6 issues. Last year some time, I remember hearing some hub-bub about a new kid on the block called Like the Wind. Published independently and overseen by running enthusiast and blogger, Simon Freeman (and his wife), it promised to be different from the rest. Rather than churn out the same material that many of the other running related magazines do, Like the Wind is a “collection of running stories”. I finally got my hands on two issues (purchased from the poshest newsagent I’d ever been to in London, with a further three issues purchased in Bath a week later) and I was immediately struck by how personal the magazine’s content felt. Each story read like it was the individual’s own column or blog, though possibly to never be repeated. The other thing that caught my eye was the overall look and feel of the magazine – the design was simply sublime. It’s the sort of thing that you would proudly have on a coffee table at home. At £9 an issue, it ain’t cheap. But then it does only come out once every three months, so at £3 a month it’s more palatable with the promise of fresh content compared to the yearly churn that some of the more regular titles go through. Over the last couple of years, I’ve experimented with running a Parkrun the day before races. I’m still yet to fully commit to the camp of do run, or the camp of don’t run; the only conclusion I seem to have reached is that if I feel like running, then I shouldn’t fight the urge. The order of the day was to simply cover 5k at a relaxed pace of somewhere between 7:30 and 7:45 per mile. It felt entirely at odds to be running 5k at such a restrained pace with people blowing up all around me (they had pacers provided). I finally let go of the reins in the closing straight for a 200m burn-up and a finishing time of 23:05. It was an informal talk with maybe 30 people in the room (and free food! ), chaired by the Cardiff Half Marathon race director, Steve Brace. One stand out moment came from an audience member: Steve worked through the crowd to get people to share their PBs, with times from 2:15 all the way down to 1:24, when one guy pipes up and shares he has a 66 minute PB with hopes to get under 65 minutes the following day. Geoff Wightman took immediate interest as a selection committee member for the 2016 World Half Marathon Championships, but was disappointed to learn the mystery audience member had no such aspirations. For the full report on my 2015 Cardiff Half Marathon, please click here. Wearing the official race shirt during the race is like wearing a U2 t-shirt to a U2 concert. Not cool. Don’t do it. 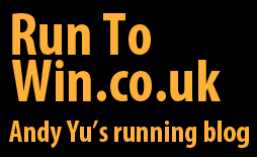 This entry was posted in This week and tagged Cardiff, Cardiff half marathon, Garmin, half marathon, Newport Parkrun, Parkrun, race. Bookmark the permalink.